If you like the game, consider donating to help out the very poor creator! An original roleplaying game set in a fantasy roleplaying environment, aimed to be a fun roleplay environment for roleplayers, but not at the expense of the game itself. Who says good roleplay and good gameplay can't exist together? • Character Creation: A simple yet detailed process helps players make characters unique. A variety of skills, abilities, classes, and races aid creation of characters that will rarely be exactly the same. • Detective - There's dames to be saved! Detectives use a multitude of handy gadgets (that are always more than meets the eye) to solve cases and fight crime. • Learned/Rhythm Magicians - There's no good RPG without their share of the arcanely proficient. Magicians in Sigrogana Legend make use of a plethora of Arcana (so many and so much more to come) to further their goals. • Rune Magician - When one goes to calligraphy camp as a Rune Magician, it's to learn how to more efficiently blow stuff up than anything. 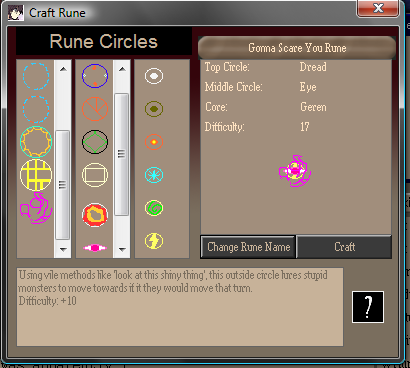 These mages utilize pre-made Runes, which act as anything from land mines to a scrying eye (or even both!) on anyone unfortunate enough to step on them. • Summoner - It's okay to need help. Summoners are quite eager to rely on beings called Youkai - aspects of mythology and psychology, or the just plain weird, to do their dirty work for them. As well as at least five other ones described in-game! • Character Housing: Each character starts play with a DISCer; an invention of Karaten which creates access-ways to demiplanes, which can be customized by the player. This invention can be used to create personal quarters, inns, shops, or anything you can come up with! • Turn-Based Battle System: Fully-functioning original battle system which takes place right on the map where it started. 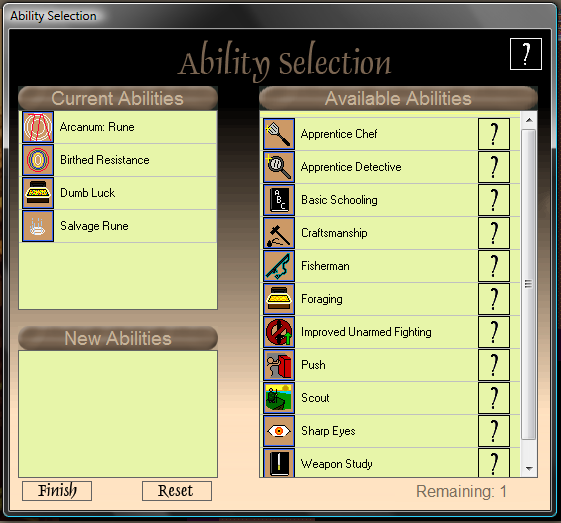 Radial menus and special on-map selection options help take the monotony of input-based games away. • Extensive Crafting: A lot of work has been put and is still being put into the various Craft skills of the game; if you dislike progressing your characters solely on combat or roleplaying, crafting rewards experience appropriate to your result. Items that are crafted poorly reflect as such in the game; and items that are crafted well have certain bonuses attached to them. There are currently over 100 different food recipes, and the quality of the ingredients makes a difference in the ending dish. Are you a bad enough dude to cook them all? Why is nobody hosting this anymore...? I mean, I'd love you forever if you can. New 24/7 up on dedicated server box, using July 2013 saves. Portals might need to be re-put and if something else is wrong then feel free to message me through BYOND, datacore@datacore.name or twitter (https://twitter.com/ByondDataCore). byond://74.91.122.46:23759 should be the correct link to this server. Note: Don't expect updates, I do not have the source files. I'm not sure if Devourer still allows donations for donation items, perhaps, perhaps not. Just know that I don't really require donations to keep this server online. Enjoy your day and RP on.